There is a rawness about this album, not the raw feel when a band is new on the scene but an emotional gruffness that strips back all emotions to the basics. 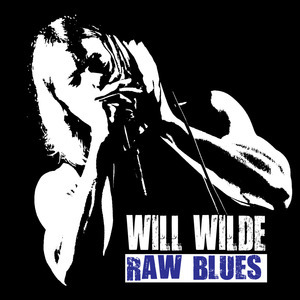 Having listened to the superb “Raw Blues” album several times I realised the raw texture comes in three forms, firstly the lyrics that take you to the dark corners of life that good blues achieves and then on top of that is the rawness of Wills vocals and the emotionally onslaught he achieves when he puts the blues harp to his lips what a sound he creates. This is a very British take on Chicago Blues that has been stripped down and the pieces re-arranged creating a sound that is perfect for the twenty-first century. The backing from Stuart Dixon playing guitar that keeps the tension, brings in some lightness to the musical journey providing the perfect foil for Will at the front. Into the mix is precision drumming from Richard Newman and knitting all the elements together through the bass strings is Victoria Smith providing some bass lines that grounds the emotions so that you do not drown. Despite the subjects addressed on the album on tracks such as ‘Paranoia’, ‘Citalopram Blues’ (Depression is the centre of the track); this is not a difficult album to listen to, it certainly does not leave you feeling empty but full having experienced a lyrical and musical journey.“Raw Blues” combines a variety of tones and ‘Thirty Eight’ has a up-beat tempo articulated by crisp drumming and soaring harmonica and ‘Get Me Some’ is a full on semi-rock approach to the blues once again demonstrating the full range of talent being delivered by Will and his band. Another strength within the album is the self-penned songs that mean something to will this comes over in the singing and the production of the CD, each track means something personal and that is what the blues is all about articulating through music personal journeys, the sorrows and the highs. Raw Blues is full of confidence and is a showcase of the fantastic live act this band is. They are worth looking out for at festivals and gigs, but until you can catch the band live this is certainly not a second best option but a CD that you will revisit often and enjoy. Why? – It is simply the powerful combination of strong vocals and a distinctive harp playing by Will Wilde that makes this more than just a little bit special.